Faida Zacharia is an Assistant Lecturer in Development Studies at the University of Dodoma, Tanzania. She came to the University of Michigan as a member of the University of Michigan African Presidential Scholars (UMAPS) 2018-19 cohort. “Water wars” are on the rise around the world as access to fresh water becomes ever more limited. Countries around the world are facing increased demand for water at a time when fresh water is becoming an ever more scarce resource. Food security and economic development depend on access to water, hence developing countries like Tanzania are seeking new means of increasing access to water for all the needs of its population. In Dodoma, a semi-arid region in Tanzania, access to fresh water is a challenge. Climate change, industrial activities, and political conflicts all threaten the available water supply. The region has various reservoirs to collect surface water, among them Msalato reservoir, Mkonze dam, Hombolo dam, Bahi dam and Makutupora dam. Mtera dam, the largest dam in Tanzania, is also the primary source of electricity for the national grid. But despite all of these resources, Dodoma faces a shortage of water. People in Dodoma rely on smallholder farming and livestock keeping for their livelihoods, but the recent rapid growth of this region has put additional pressure on water resources necessary for agriculture. When President John Magufuli was elected in 2015, he declared that Dodoma City would be the political capital of the country, and required all government ministries relocate from Dar es Salaam to Dodoma. People came to Dodoma from other regions of Tanzania, increasing the demand for water for household uses, for industry, and for agriculture beyond what the reservoirs could sustain. Tapping into groundwater resources may provide a solution. Zacharia is developing new research that will explore how groundwater irrigation in Dodoma region contributes to agriculture and food security, and how it helps poverty reduction in the drylands of central Tanzania. Her research maps the groundwater in the region to establish how much there is and where it is located. This baseline data and knowledge will help to initiate, implement, and sustain groundwater irrigated agriculture in Tanzania. Zacharia wants to know who benefits and who does not when groundwater irrigation is established in smallholder farming communities. Groundwater irrigated agriculture may prove to have great potential as a strategy that mitigates the impact of climate change on agricultural communities. These findings will inform the policy decision-making process and strategies related to small-scale groundwater irrigated agriculture to enhance the livelihoods of drylands communities. Zacharia’s research supports sustainable development of infrastructure through an integrated approach to water management to balance the competing needs of agriculture, human consumption, industry, and environmental conservation. In the rush to secure more water, she cautions against a lack of planning that lead to the present water crisis in Cape Town, South Africa and other sites in China, India, and California where groundwater aquifers have been depleted. Zacharia says that her time at the University of Michigan has been essential to advancing her research. Her fellowship allowed her to work closely with her mentor to receive support and feedback on her research. Zacharia presented research at two conferences during her visit: the Sustainability and Development Conference at the University of Michigan, and the African Studies Association annual meeting in Atlanta, Georgia. She said that the experience of attending the conferences and presenting work to her peers was one that she is eager to repeat. “It has changed my entire outlook and attitude towards life of academics,” Zacharia said. 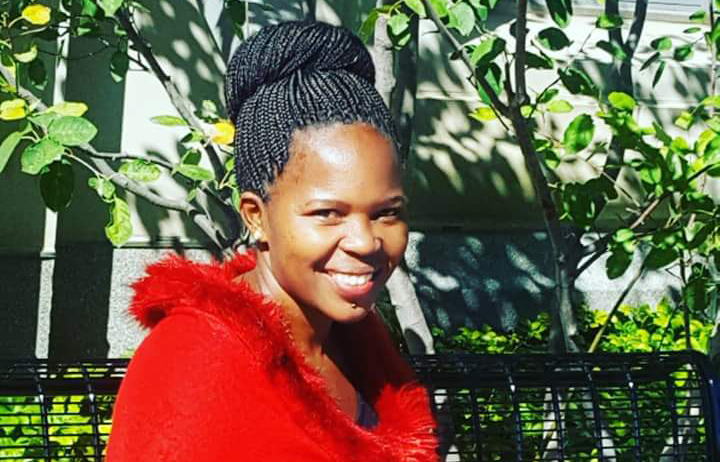 Zacharia returns home to Tanzania at the end of February, where she will apply to PhD programs to continue her work. We wish her all the best and look forward to future partnerships with her. This entry was posted in International, Profile, Uncategorized on February 25, 2019 by Katherine Pearson. There are people all over the world who need the social sciences to reconcile the problems of their lives. At the Open Social Science Conference in Mannheim, Germany, Arthur Lupia told attendees that this is why social scientists must work to ensure that their work is transparent and credible. Lupia delivered his keynote address “It’s Up to Us – Transparency and the Public Value of Science” on Friday, January 25, 2019. A recording of the talk is available online. Lupia studies how people make decisions when they don’t have much information. Quantitative researchers, he notes, make scientific claims backed up by proofs. A proof allows others to understand the thought process and produce the same result. It allows researchers to go beyond their own understanding, and bring others along. It’s not always sufficient to show evidence, however. The scientist must also consider the person who receives the information: what they pay attention to, how they make sense of that information, what they understand. In order to create change, social science research must first reach its audience. The way scientists communicate knowledge makes a difference. What makes social science research valuable to people who use it? The mission of social science researchers, according to Lupia, is to offer people a better understanding of the relationship between things they can see and things they can do. The amount of information available has increased greatly within our lifetimes. An abundance of information is available online. So why should anyone seek out rigorous scientific research? If information can be found for free, why should anyone fund social science? Credibility – there is something about the claim that is trustworthy? Legitimacy – is this claim developed in accordance with recognized principles? While scientific inquiry fosters greater honesty in evaluations, the incentives that scientists face present challenges, as well. Scientists have a strong incentive to discover novel findings and publish them. The marketplace rewards claims that go viral. On the other hand, the incentives to explain how these discoveries emerge are very weak. These incentives threaten the meaning and the value of the research. If scientists publish only astonishing results, but ignore more mundane studies that disagree, scientific credibility and legitimacy are eroded. If social scientists want to advance research that improves quality of life in the world, then credibility and legitimacy matter a lot. Transparency in scientific research can be improved by creating better incentives. Because researchers already have strong incentives to publish, Lupia suggests that it makes sense to focus efforts on academic journals. He gave several examples of incentives that help journals increase transparency. The Transparency and Openness Promotion Guidelines are a model for increasing transparency in publishing. Created by the Center for Open Science, over 8,000 journals have committed to these guidelines. 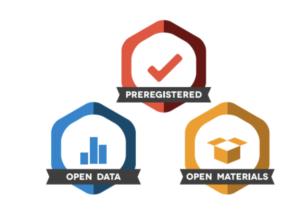 The Center for Open Science has created badges to show when a study has preregistered, uses open data, or uses open materials. Research has shown that implementing these badges dramatically increases the rate of data sharing. The Election Research Preacceptance Competition, led by Lupia and Brendan Nyhan, asked researchers to design a paper using data from the 2016 American National Election Studies (ANES) and submit the design to a participating journal before the data were available for analysis. In return, selected entries were offered an award of $2,000 and placement on a panel at a major political science conference. This challenged researchers to share ideas regardless of whether the analysis yielded the expected results. Lupia noted that they received fewer submissions than they expected. He suspects that it’s difficult for researchers, especially younger ones, to take the risk to publicly share an idea without knowing what the outcome will be. When was the golden age of social science? Lupia says it is dawning right now. Scientists must ensure their work has value to those who can use it to make change, and that’s why they need to commit to greater transparency. Increasing transparency requires creating incentives and improving infrastructure for openness. Most people who consume scientific research will never read the evidence that went into the findings. Instead they take the results on faith. Lupia cautions that if researchers don’t uphold standards of transparency, they lose their value as credible sources of knowledge. This entry was posted in Uncategorized on February 4, 2019 by Katherine Pearson.